As I mentioned at the beginning of the Stickygram article, there are a lot of printing service options for your Instagram photos. 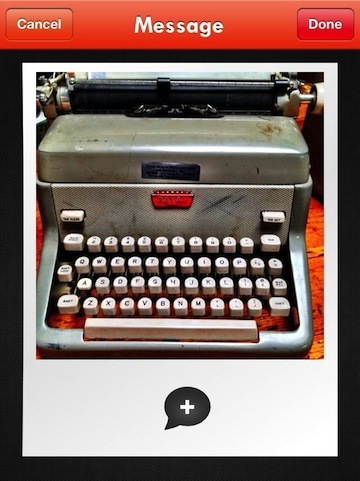 While this solution prints square photos, they aren’t limiting you to just those uploaded Instagram services images. 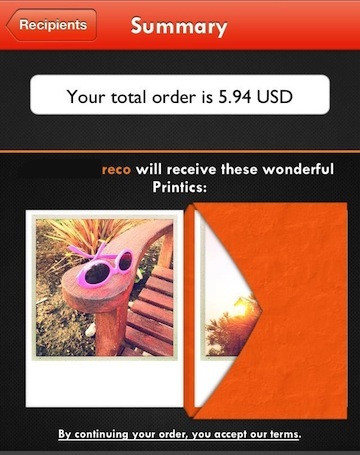 The service, Printic, offers a free iPhone app to gather and adjust your photos. Then, for 99 cents each minimum of 3, they will print and mail for you. I tried the service with a few for a friend who isn’t on Instagram rather than back to me. Printic requires an Account Setup, then offers access to choose a photo from the iPhone photo library, Instagram and Facebook. Selected photos appear in a running bar across the bottom of the page. 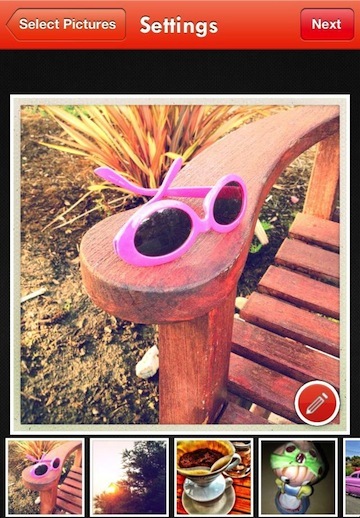 Selecting the ‘pencil’ icon in the lower right corner pops up Edit tools for each picture. 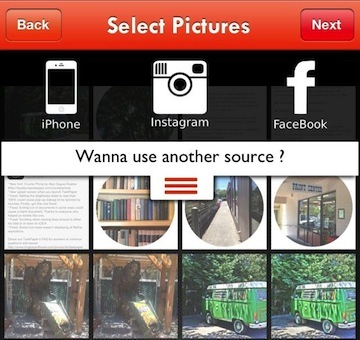 Printic allows Cropping, Quantity, Text and Delete. One of the popular things to do when sharing a Polaroid (and a feature found in most imitation Polaroid creating apps) is ‘writing’ a short message on the open box area below the photo. Printic offers this as well. When your done editing the photos, add your payment information, then where you will be sending the photos. It is optional to have the photos sent to multiple addresses so Printic could be a creative way of doing invites or announcements too. I always wonder about the licensing a company has to do in order to create apps and services which allow printing to a photo frame that mimics a Polaroid. Polaroid took the time to big shoe me when I had artwork on CafePress for sale which had a Polaroid in the corner of the image. They stated that they own all representations of the frame.